Zephyr is a system designed to help aid search and rescue dog handlers utilize their dog's most powerful tool (the nose) more effectively. Zephyr gives the handler air flow simulation by utilizing local wind measurements and weather data. This information allows for an accurate estimation of total area covered by the search and rescue team, thus reducing the time needed to accurately cover a search area. In the winter of 2015 I began to do research on search and rescue dog teams. King County Search and Rescue was kind enough to extend an offer to join them on a training exercise just outside of Seattle on an early Saturday morning. Going out into the field was an amazing experience. I really was able to see just how difficult a search can be. There are many factors to consider including weather, terrain, way-finding, time, and dog communication. 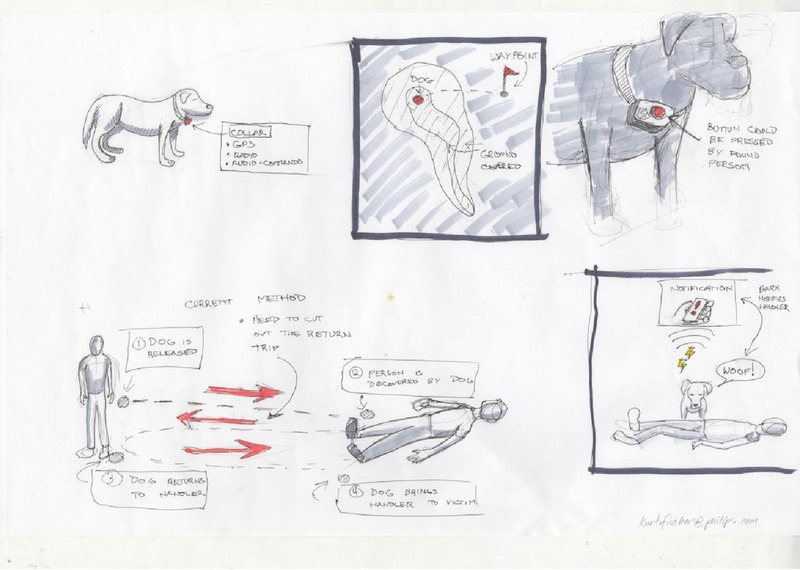 It was nice to see my early concepts were on the right path but ultimately the best hope for success comes down to their ability to use their dog’s nose to their advantage. In order to do this they need to have a clear picture of airflow in their search area. King County Search and Rescue had a simple solution to quickly visualizing airflow in a search area—bubbles. Seeing every handler repeatedly pull out a vial of children's bubble solution to see which way they should head next taught me a few things. If the handler's would take the time to record the wind measurements, a system could be built to effectively show the ground a dog effectively covered with their nose and suggest a path the handler should place their dog on to cover more ground. The system could also provide helpful airflow simulations for the handler to use in place of blowing bubbles. 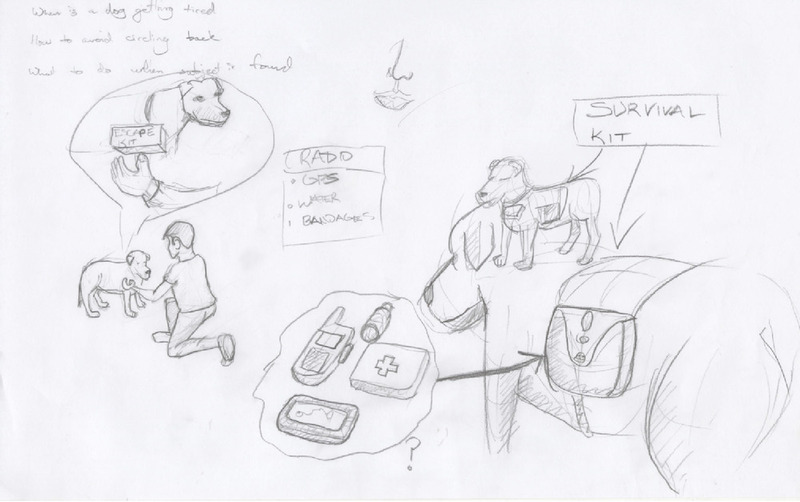 My initial research got my thoughts rolling enough to sketch out a few early ideas about what I thought might help dog handlers. These ideas focused mainly on communication, dog vitals, and aiding when a lost person was found.